Emerging economies may turn out to be the collateral victims of these new trade wars as US and China happens to be the major trading partners of large number of countries from the developing world. For India, too, China & US are the top two trading partners. This will have ramifications for the advanced economies as well. The question for us is, what is the future of world trade in this growing uncertainty with the global trading regime and what should be India’s position in this changing global scenario? The following is an excerpt from my article, published in the CII’s flagship monthly publication in the August 2018 edition of ‘Economy Watch’. Currently, the global trading system is passing through a challenging time because of unexpected turbulence caused by tariff wars involving big trading nations of the world. It is unfortunate that the countries which have benefitted most from open trade and investment regime are erecting trade barriers to protect domestic industries. The growing nationalistic sentiments in these developed economies are threatening to undo the benefits of globalization and deny the opportunities to large of developing countries which are trying to integrate themselves into the global economy. Trade conflicts are erupting among traditionally strong trade partners. The recent meeting of G7 was one example. Last month, the US imposed tariffs on imports from China and China has in turn retaliated. 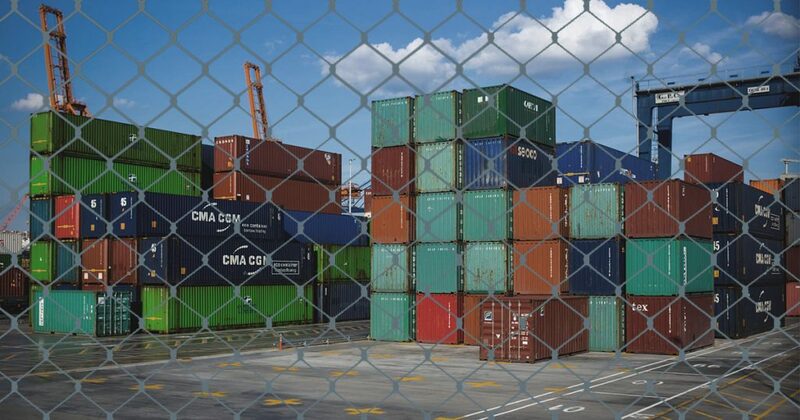 Just a few days back the WTO in its nineteenth monitoring report on Group of 20 (G20) trade measures covering the period from mid-October 2017 to mid-May 2018, shows that new trade-restrictive measures from G20 economies have doubled compared to the previous review period. Emerging economies may turn out to be the collateral victims of these new trade wars as US and China happens to be the major trading partners of large number of countries from the developing world. For India, too, China & US are the top two trading partners. This will have ramifications for the advanced economies as well. Goods supplied by emerging economies feed into global value chains and bring down costs for all consumers including those in advanced economies. The imposition of higher tariffs or non-tariff barriers raises domestic prices, thus making domestically produced goods uncompetitive. This hurts production and employment down the line. Emerging economies are already grappling with several other long-term shifts in trading environment. The advance of technology including automation, robotics, and artificial intelligence is leading to relocation of production centers. Rising wages in labor-intensive economies are also causing shifts in global value chains and re-shoring. In view of the growing volatility in world trade regime, threat of rising protectionism is a common concern for large number of countries. This has caused anxiety in the markets as these developed countries have been our traditional trading partners and hold the position of largest trade partner for most countries in the global south. The WTO, which was established to promote free trade amongst members has also been continuously undermined due to the influence of some bigger countries. Even domestically, these countries have been moving in a protectionist vein. Take BREXIT for example. The results were shocking for many. Europe has been moving towards greater integration. BREXIT was a big blow to the European integration project in general and free trade in particular. On the heels of this came the new US Administration with the Republicans forming the government. Although Republicans have traditionally been pro-free trade, the current President campaigned extensively on a platform of protectionism. This is also a reflection of popular sentiment in the USA. Within days of taking office, he withdrew the USA out of the Trans Pacific Partnership (TPP) and then from the Paris Climate Deal. In the past few months alone, the 11th WTO Ministerial failed to adopt a declaration, USA increased tariffs on products coming from China, Canada and EU, and these countries countered with raising tariffs. This has escalated fears of trade wars breaking out. The question for us is, what is the future of world trade in this growing uncertainty with the global trading regime and what should be India’s position in this changing global scenario? India is among the fastest growing economies in the World. We are now a lower middle-income economy moving from a low-income country. India in recent years has undertaken series of major reforms, which led a more open economy for trade and investment. A freer world trading system would undoubtedly benefit India. But the growing trade war is causing a serious concern to Indian industry. India is supportive of a rule based multilateral system. India has also gone for deeper economic integration with many of its trading partners through signing Free Trade Agreements. The concluded agreements include the India Korea CEPA, the India Japan CEPA, the India Singapore CECA, the India ASEAN FTA among others. Many more agreements are in the process of being concluded. We are currently in the midst of negotiating the RCEP, an FTA with Australia, an FTA with EAEU countries among others. However, despite being supportive of freer trade, India has to be mindful of its domestic obligations. India is in midst of a demographic boom, India aspires to increase the contribution of its manufacturing, we would also like to ensure that domestic policy space exists so that new industries and niche industries can be developed and encouraged in the country. 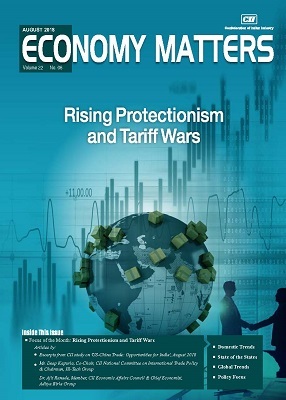 So how should the contours of the country’s trade policy be in the face of rising protectionism. The answer comes in several parts. First, in terms of multilateralism, in the last WTO Ministerial, several areas opened up for discussion, this ranges from fishery subsidies, rules for investment facilitation and rules on e-commerce among others. India has always stated (and I am restating it here) that items agreed under the Doha mandate should be prioritized. E-commerce particularly is not covered under the Doha mandate. We are engaging with the other members, but we must first build our own capacities. India continues to support the Special and Differential Treatment (SDT) principle and seek a permanent solution to public stockholding for food security purposes.Second, in terms of tariffs, India has liberalized many of its tariff lines over the years both unilaterally and through its FTAs obligations. But it also excluded some tariff lines and followed a more graded approach in its tariff reduction. I do not believe India should alter this approach or its basic template towards market access. We are a developing economy. Indian Industry operates under more constraints vis-a-vis its more developed counterparts. Third, turning to Standards, India has been in recent past, taking concrete steps to create a robust standards regime. It is not that India does not have standards, but many of those standards are not mandatory. Standards are playing an extremely important role in international trade. I see them as being major enablers of trade. In terms of the domestic standards regime, both Industry and Government should come together to identify areas where standards compliance is required and what are the gaps which India should address to ensure it can access export markets and also ensure imports coming in are of the highest quality.Going forward, I do not see India systematically altering its approach to tariff negotiations. While, India is willing to open its tariff lines and would like to gain market access with its existing and new trading partners, our approach to tariff negotiations will be seeking more tariff phasing out schedules, opting for a longer phasing out period and seeking a time gap between signing the agreement and beginning the tariff phasing out schedule. Indian Industry will require more time to adjust to the new market conditions post the signing of the FTA. But, to its credit India has opening many of its tariff lines duty free to LDCs both under SAFTA and also to African nations. Fourth, an important part about any trade policy regime of a country is the partnership between Industry and Government. There must be active collaboration between Industry and Government to ensure a guarded approach towards trade liberalization, this does not mean advocating for protectionism. Exploring new markets is a vital aspect of growing. International trade is a dynamic area. Unless domestic industry actively sharing their constraints, they face and how domestic policy can make them more competitive, India cannot move forward decisively in its trade negotiations. India continues to be a supporter of the rules based multilateral trading system and simultaneously engaged in FTAs. India is more than willing to engage with partners (old and new) to seek greater economic integration. Today, both trade and investment are driven by global value chains for which it is essential for a country to adopt a more synchronized and open trade & investment policy. There are countries in the world who have effectively used FTAs to integrate themselves with global supply chains. The Indian industry needs to embrace this new reality and try to leverage FTAs to gain access to the world market. The domestic policies also need to facilitate this process of integration. Kick Starting the Indian Startups – Getting it Right!